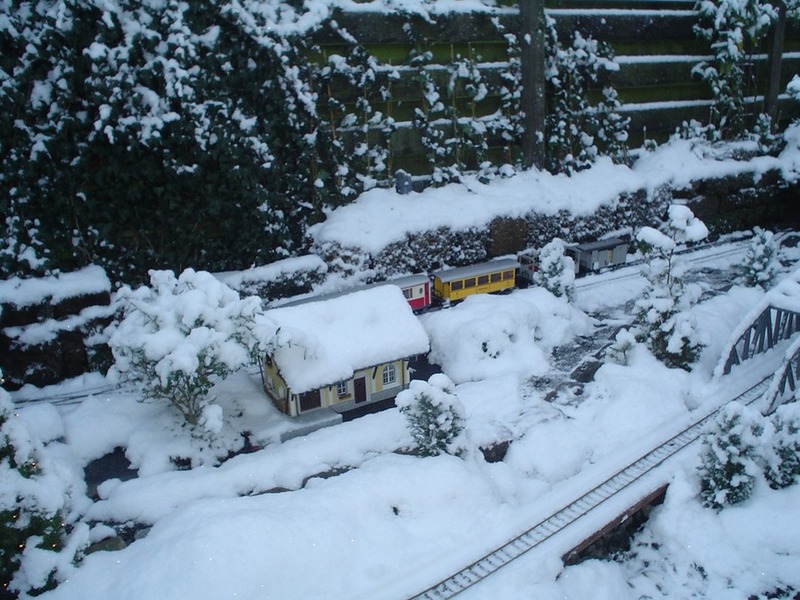 Also known as LGB trains, G-scale modeltrains, trains for in the yard or gardenrailways. But what is G-Scale ectually? The scale models from LGB are an example of smalltrack (gauge = 1000mm.) To be able to ride these trains on 45 mm gauge is the scale 1:22.5 applied. 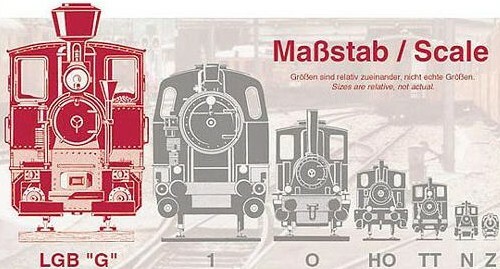 They use at Märklin Track 1 normaltrack trains as example. 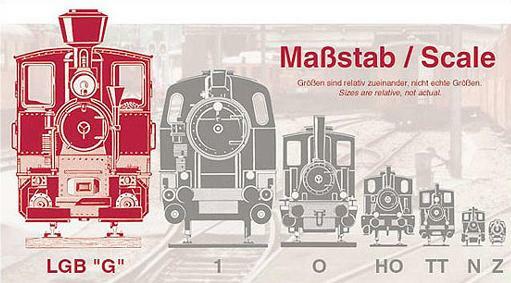 (gauge = 1435mm) To apply the scale 1:32 they can let these trains drive on a 45mm gauge. The use of this G-scale supplies locomotives and wagons from 20 cm and bigger. Through this G-scale are trains and trails aswel suitable for laying in the yard. LGB has always had in mind, even in the development of the product that the train must be able to drive in every season. Regardless of whether ist raining of snowing or the son shines brightly. But not every brand is a real gardentrain. Some brands are more development to drive with dry and nice weather. An Märklin track 1 locomotive is through the choice of material less suitable for driving in the rain. This in contrast to LGB, where even a advertisement was made with a locomotive that drives circles under water.